Way back in the fall of 2005, David was 4 years old, and I was pregnant with Sam. I got a call from David's preschool. "David put a bean in his ear." 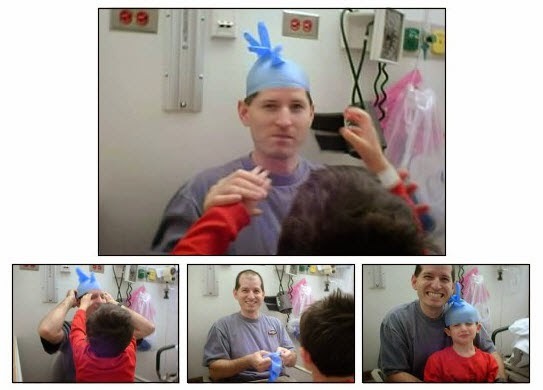 A bean in the ear was our first-ever trip to the Emergency Room with one of our kids. I remember that we joked and laughed. (I remember that the doctors in the ER reviewed my High Holy Day sermon, too.) We made sure that David learned the important lesson to never put anything bigger than your elbow into your ear. And I recall that we taught him the word "orifice" and extended the lesson to not put anything at all into any orifice of the body. We blew up rubber gloves and never imagined what other terrible reasons we could come to the ER. And of course, I remember exactly which room we were in at the Highland Park Hospital ER. 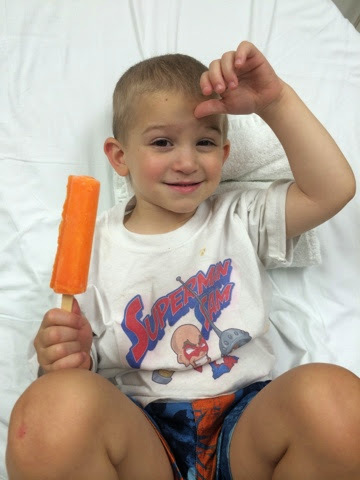 Thursday (yesterday), the anniversary of Sam's leukemia diagnosis, Solly decided that he needed a trip to the ER. He pulled his arm away and acquired a diagnosis of nursemaid's elbow, which is painful and needs attention, but is pretty common and easily fixed. Needless to say, however, Michael and I were shaken by the idea of a trip to the hospital. On this day of all days. They took his pulse-ox and they stood him on a scale just like the ones at CHW. 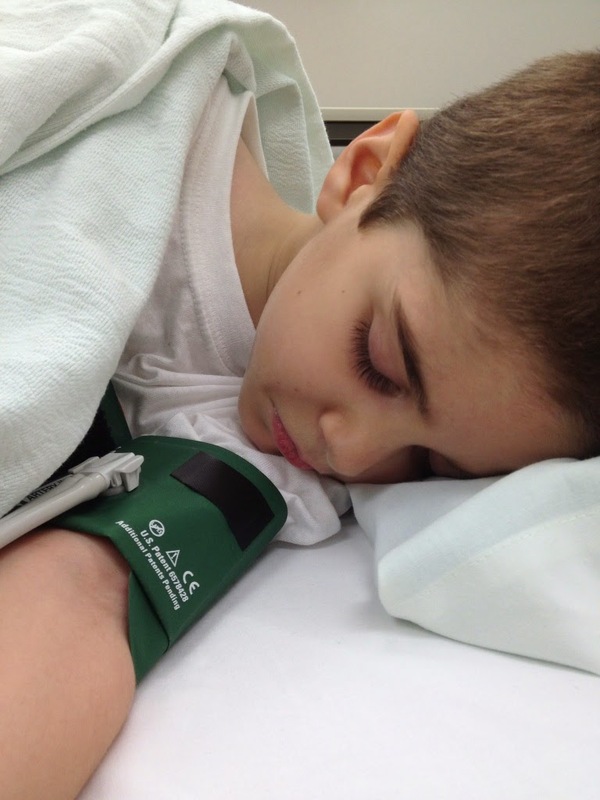 They took his blood pressure (using the green cuff, he's very small) and his temperature. The thermometer beeped straight to my heart. But then we were "roomed" and Michael looked at me. "It's the Bean Room," he said. Even in the midst of our fear and sadness, we knew that this was scary but not life-threatening. Even as I ran through all the ways this dislocated elbow could become something horrendous...I knew that it was, like a bean in the ear, an incident that we would recall with a "do you remember when" instead of a sinking sick feeling. It wasn't how I expected to spend the morning. But new things happen. And we move through them. Remember how much Sammy hated popsicles? Solly doesn't feel the same way. The Bean Room! It's a place where we can meet anytime. A blending of memories and emergencies, we are in good hands. It breaks my heart that you (and so many other parents) know so intimately which color of arm cuff will fit your beloved little one. And, I'm glad that all is well with Solly and that he likes popsicles.